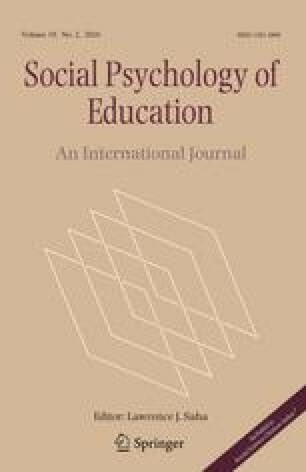 Previous research has examined how subjective task-value and expectancy of success influence the appraisal of value-promoting messages used by teachers prior to high-stakes examinations. The aim of this study was to examine whether message-frame (gain or loss-framed messages) also influences the appraisal of value-promoting messages. Two hundred and fifty-two participants in Years 12 and 13 read vignettes of fictional students who were high or low in subjective-task value, and expectancy of success, and asked to imagine how that student would appraise either a gain or loss-framed message. A challenge appraisal followed vignettes with high subjective task-value and high expectancy of success whereas a threat appraisal followed vignettes with high subjective task-value and low expectancy of success. A loss-framed message resulted in a stronger threat appraisal, and a gain-framed message in a greater disregarding appraisal for the vignette with high subjective task-value and high expectancy of success. Value-promoting messages can be appraised in different ways depending on combinations of intrapersonal (subjective task-value and expectancy of success) and interpersonal (message-frame) influences. The authors would like to thank Anya Zarod, Alistair Burr and Hannah Wilkinson for their help in data collection. Vignette A: Sarah is a hard working Year 11 student who is good at maths. She finds the work done in lessons challenging, but usually does very well. Sarah believes that maths is an important subject to do well in. She wants to go to college to study A levels and knows she must get at least a pass in GCSE maths. She also knows that maths is a useful skill to have in daily life to help with things like bills. Vignette B: James wants to learn a trade when he leaves school and get an apprenticeship as a plumber or plasterer. He knows that you need to know figures for this type of work, buying building materials and measuring up rooms, but thinks that GCSE maths isn’t related to these kinds of calculations. Despite this, James is good at maths and expects to get at least a pass in GCSE maths. Vignette C: Jade hasn’t been very good at maths since primary school. When she tries to do maths, the numbers just jumble up and she can’t think clearly. She didn’t do very well in the Year 10 maths exam and thinks that she might not pass. Jade wants to become a hairdresser and has been offered a place at college, but has to get at least a grade C to get into college. She also thinks that GCSE maths will help her in her daily life with things like bills and if she ever opens her own salon. Vignette D: Jerome doesn’t think GCSE maths is important. When he finishes school he is going to work for the family restaurant and knows that he will do this whatever grade he gets in GCSE maths. His brother didn’t pass GCSE maths and he doesn’t seem to have any problems working in the restaurant. Jerome has never been good at maths and doesn’t really try very hard in maths lessons. He is expects to fail GCSE maths.